Marsh, James H.. "Queen Elizabeth Islands". The Canadian Encyclopedia, 11 October 2016, Historica Canada. https://www.thecanadianencyclopedia.ca/en/article/queen-elizabeth-islands. Accessed 25 April 2019. The Queen Elizabeth Islands, NWT/Nunavut, are a group of islands in the Canadian Arctic Archipelago lying north of a great bathometric trench composed of (east to west) Lancaster Sound, Barrow Strait, Viscount Melville Sound and M'Clure Strait. The islands form a triangle at the northern tip of Canada, with Ellesmere Island at the apex and Devon, Cornwallis, Bathurst, Melville and Prince Patrick across the base. The islands are further grouped as the Parry Islands (Prince Patrick, Melville, Mackenzie King, Borden, Bathurst and Lougheed) and the Sverdrup Islands (Ellef Ringnes, Amund Ringnes, Axel Heiberg, Cornwall and Meighen). The total area of land in the group (about 419 000 km2) is roughly equivalent to one of the Prairie provinces. About one-fifth of the land is covered with land ice, with the largest mass on Ellesmere and concentrations on Devon and Axel Heiberg. Ice caps and glaciers cover a greater area than elsewhere in the North, owing to the cooler, shorter summers and the widespread uplands. The islands consist of Cambrian to Upper Devonian rocks formed during the late Silurian period (see geological history) and again in the late Devonian. As a result of intense folding and erosion, the islands are characterized by folding mountains. In the eastern islands (Ellesmere, Axel Heiberg and Devon) remnants of the folds rise over 2000 m - Mount Barbeau (2616 m), the highest point in eastern North America, lies in northern Ellesmere. Elsewhere the land is lower, much of it formed of horizontally embedded sediments, or peneplains. Spectacular cliffs rise above Lancaster Sound on Devon Island. Melville Island is largely formed of an erosion platform of folded rocks, although the Raglan Range in the northwest approaches 776 m. The islands along the northwestern margin generally lie below the 150 m contour. 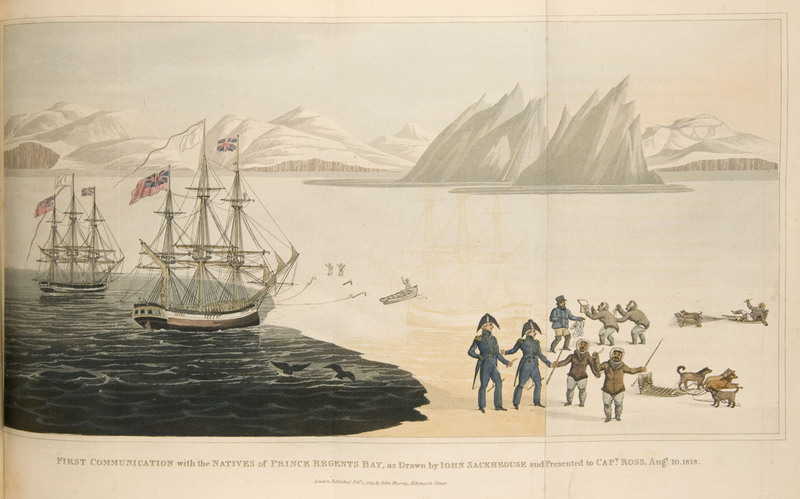 The occupation of the Queen Elizabeth Islands by the Inuit is fairly recent. Their European discovery may be attributed to William Baffin (1616). However, they were not rediscovered until 1818, when Sir John Ross confirmed their existence. 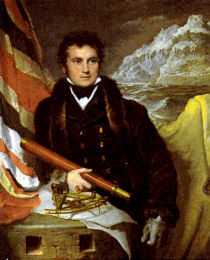 In 1819 Sir William Parry sailed to Melville Island, naming Devon, Cornwallis, Bathurst and Byam Martin. The exploration of the islands at the turn of the century in effect completed the geographical discovery of North America. From 1898 to 1902 a Norwegian expedition led by Otto Sverdrup surveyed the northern coast of Devon, the southern and western coasts of Ellesmere, Axel Heiberg, King Christian and the Ringnes islands. In 1916-17 Vilhjalmur Stefansson found Brock, Borden and Meighen islands. The islands remain remote. Resolute and Grise Fiord are the only communities other than weather and research stations such as Alert. It is known that there is oil and natural gas in the area, primarily in the Sverdrup Basin. The islands were named in 1953 for Queen Elizabeth II. M. Zaslow, ed, A Century of Canada's Arctic Islands (1981). PAN INUIT TRAILSAn interactive atlas that depicts Inuit place names, trails, and maps in Canada’s Arctic. Click on “About the Atlas” to see useful tips for navigating this site. From paninuittrails.org. Sea Ice Climatic Atlas for the Northern Canadian WatersA basic overview of factors affecting ice in the sea. Click on right side menu for related maps and charts. From Environment Canada.